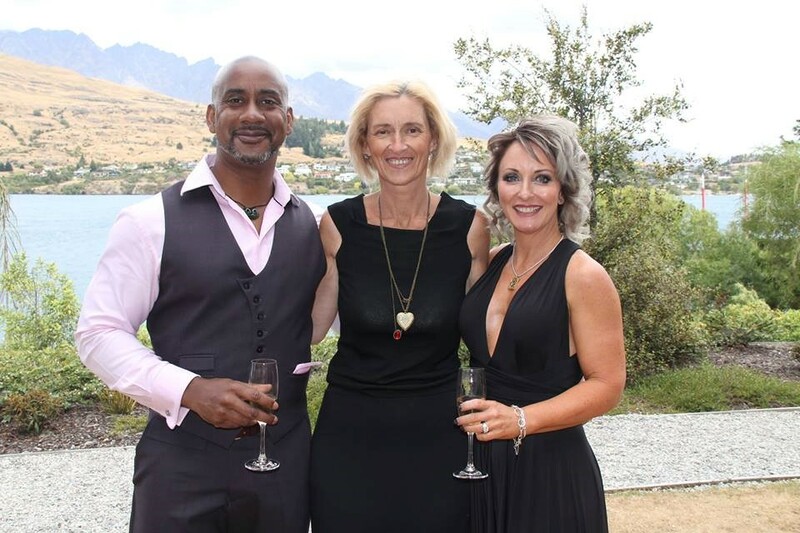 Home » Kathryns Queenstown Wedding Celebrant Blog » Weddings in Queenstown » Julie & Alan and the butterfly wedding! Alan is the dream husband! And his bride is a gorgeous bundle of laughter. A match made in heaven. Alan contacted me to see if I could arrange some butterflies for his bride who is mad keen crazy for butterflies. Of course I could! Normally couples get two or three butterflies… not so with Alan. 20 will be fine thanks! At that stage and only after I said of course I can arrange that… did I find out that they are becoming harder to source and several breeders had stopped breeding. But source them I did and despite the courier leaving them in the mid summer sun (grrrr) and frantically making sure they were kept cool enough, and hiding them from the bride and guests… the moment arrived to bring them out. At this point, I just prayed that they all survived and would flutter out of their boxes and land on various shoulders. This is the absolute ideal so everyone can get photos and enjoy them. If they are too hot, they’ll simply fly away quickly, and too cold, they won’t come out of their boxes preferring to sleep. Alan presented his bride with the butterflies and they all fluttered out successfully and landed on his bride and the guests. Not only that, they hung around us for ages ensuring many photos and a very happy bride. Job done!